Our mission is to conduct polls among its members on matters of importance to individuals interested in business, to collect, compile and disseminate business and financial information through the new media to its members and the general public. To carry on educational programs among its members and the general public relating to matters of vital interest to the business community. To organize individuals interested in business and concerned citizens into an association with the objective that their voices may be heard effectively in local, state and national affairs affecting the business community. To seek & support the availability of services and other benefits for members which represent greater value to those members than would be available to them individually. To conduct and engage in all lawful activities under the Texas Non-for-Profit Corporation Act. 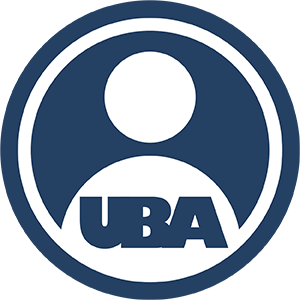 The United Business Association (UBA) is a nationwide membership of small business owners and employees. UBA leverages our purchasing power to secure benefits and discounts that may not be otherwise available on an individual basis. With association group insurance programs, shared business knowledge, business and lifestyle benefits and services and opportunities to network, We are Better Together. 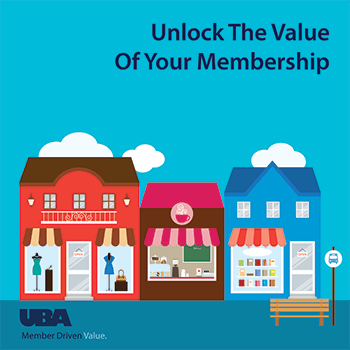 Your membership in the United Business Association allows you to access and enroll in association group insurance programs and apply for association short term medical insurance. Various insurance companies have issued group limited benefit insurance policies to the United Business Association as the group master policyholder. The United Business Association promotes networking among its membership of small business owners and employees. Support other members just like you! Advertise your Small Business for Free! We also send Member Newsletters that contain valuable business information, member contests, or important updates regarding your benefits and services. We also promote several of our Member Businesses for FREE in the Fall Newsletter mailed to all members as well as prominently feature one business each month on the Networking page of the website. The United Business Association is here to help you. We have developed our Personal Member Concierge service to help Members with their benefits, billing, questions and more. Call our Concierge Service at 866.438.4274 during office hours to find out more about UBA or to get help on your membership. View sample guide to learn more about all the member driven valued membership benefits and services.